This post may contain affiliate links. I make a small percentage from each sale, thank you for helping to support my blog. When I started blogging, I had no idea I could make money from it. I simply wanted an outlet. A place to write down all of my thoughts. I knew that nothing would likely ever come of it as far as financial gain, but when I started to receive product sample offers I was over the moon. When I received my first sponsored (paid) post, I was beyond thrilled. That has been a little over a year ago and since then, I have steadily made over $2,000 per month blogging. Now, in the interest of being 100% honest, this income does include my Virtual Assistant business income. However, that income has been a direct result of my blogging career. 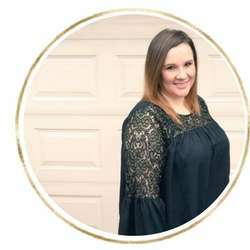 Some people find my services through my blog, others are bloggers that I am friends with who don’t have time to handle all of the tasks it takes to run a business. 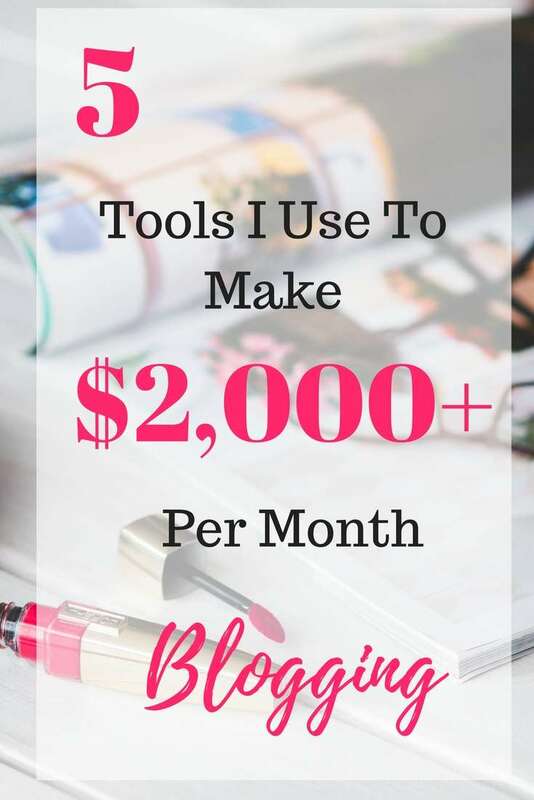 That beings said, I use several tools to remain productive and to help grow my business, but there are 5 that have made a big difference in helping me grow my blog’s income and traffic. If you’re a blogger or even a business that wants to grow your online presence, read on! Tailwind is probably my #1 favorite blogging/social media tool right now. Pinterest is the #1 traffic driver to my site and it has grown my Pinterest account in a short time. While I won’t promise success over night with Tailwind or Pinterest like some people will do, I can promise that steady and hard work on Pinterest will pay off. Tailwind is the only approved Pinterest scheduler which means that they can’t mark your account as spam for using it. Also, if you sign up using this link, you get a month free! We all know that images are key when you are a blogger. You have to create great graphics, especially for social media. Great graphics translate directly to more blog views which equals more income for bloggers. I recently purchased a lifetime subscription to Stencil and I LOVE it! I used another free platform for a long time, but since making the move to Stencil, I’ve been so happy! If you are new to the blogging world, I highly suggest joining a few Facebook groups for bloggers. Not only are these great for networking and getting your blog new followers, they are also great for learning valuable information about social media promotion, etc. I also am in several groups for Virtual Assistants and almost each of my clients has come from one of these groups or from a referral in one of these groups. I don’t use a ton of affiliate links on my blog. It’s not something that has been a huge source of income for me, plus I only want to promote products that I use and believe in- not just a product that earns me a commission. That being said, we use products from Amazon daily. Amazon Associates is an affiliate network where you can link to almost any product on Amazon and earn a small commission when someone purchases it using your link. I known, this is a weird one. You may be thinking, how does a timer help her make money? Well, when you get easily distracted like I do, it does. Depending on the task, I set the timer on my phone for a certain period of time and during that time, I only focus on the task at hand. For example, if I am going to be scheduling out social media posts for a few weeks, I set my timer for 30 minutes. During that 30 minutes, I only focus on that task. No scrolling through Facebook. No Snapchatting. No answering calls unless they are majorly important. Just handle the task at hand. I have found this makes a huge difference in my productivity and helps me to focus. When I am switching back and forth between 563 tabs in my browser, answering calls and folding laundry between-it gets a bit chaotic. Of course, this is all part of being a work at home mom and some days- my days do look like that chaos. I’ve found that the time system works really well early in the morning or during nap times when I can fully focus on my blog and business. I am also considering getting timers to place in our laundry room, etc. so that I can use the same system for other household duties. Hey I’m glad I’m not thr only one that is old school. I use a paper planner and a notebook for preparing and creating each post. Yes! I love my paper planner. Great list! Thanks for the helpful tips.